Although it’s a harrowing six-hour drive from Puerto Princesa to the tropical paradise of El Nido, this bumpy journey in the Philippines is well worth the reward. Here you'll find the Bacuit Archipelago, a group of 45 extraordinary islands where sandstone cliffs burst dramatically from crystal-clear turquoise waters. The archipelago is so remote that it’s served as the set for numerous movies and reality T.V. shows, including Survivor, The Amazing Race and The Bourne Legacy. 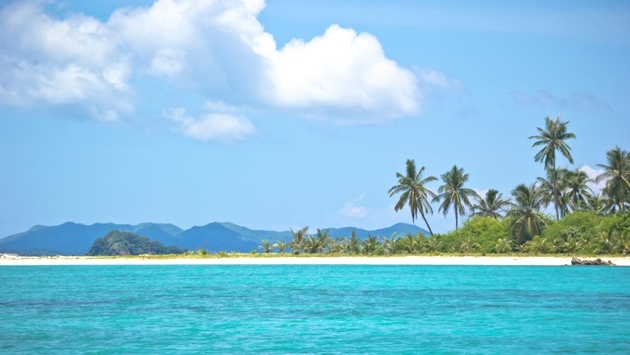 Ready to experience this pristine paradise? 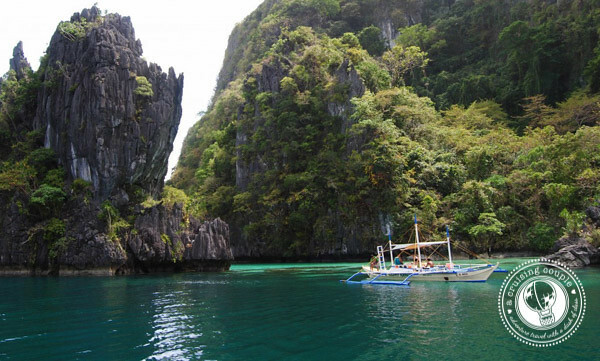 Here are seven awesome experiences to have on your trip to El Nido, the Philippines. That’s right. You can stay on your own island, have fresh-cooked meals delivered to your bungalow and be mentally and physically miles away from it all. This was by far our favorite experience on our last adventure in El Nido. We stayed in an open air Nipa listening to the waves on the beach until they lulled us to sleep. Our meals were prepared on the island and set out just a few feet from our bed. Boating, kayaking and laying in the hammock were the primary attractions. No trip to paradise is complete without a day spent island hopping on a Philippine longboat. The tours in town are all the same and are cleverly named: Tour A, B, C and D.
We decided on Tour A, which is also one of the most popular choices. This journey takes you to the Secret Lagoon, the Small Lagoon, the Big Lagoon and 7 Commando Beach. You'll stop of at each of the areas for 20 to 30 minutes and have the chance to snorkel as well. For those who are looking for a real adventure at your own pace, rent a kayak in town and start the paddle towards Matinloc Island, also known as Helicopter Island. It took us about an hour and a half to complete the one-way journey out to the island, but it was quite the relaxing day full of picnicking on fresh mangos, napping on the beach and snapping photos at our own pace. On the way back we made a pit stop at Paradise Beach for a beautiful view of El Nido town on one side and the archipelago on the other. For the most spectacular view of El Nido take a hike up to the top of Taraw Cliff. Although the trail gets quite muddy during the rainy season—and includes some adventurous rock scrambles—a hike to the top of El Nido Cliff is a must. Once at the summit you'll be rewarded with an incredible 360-degree view of the lush green forest extending toward the south, the sun slowly fading in the west and El Nido Bay below. Because of the difficulty of the climb and the questionable navigability of the trail, it is highly advisable to hire a guide. You can hire a local guide at most any El Nido accommodation or through the El Nido Tour Guide Association. Make sure you bring water, sunscreen and insect repellent. The hike takes around an hour to reach the top. 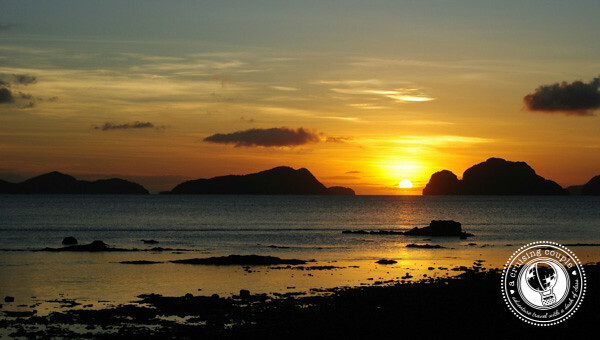 The best spot for sunsets is actually found at Corong-Corong, a quick tricycle ride away from El Nido center. Just tell the driver “Corong-Corong” and for around 10 Pesos per person they will drop you off at a narrow trail that will lead you to the beach. The sunsets here settle right over the ocean behind the many jagged limestone cliffs of the El Bacuit Archipelago. Bring a few beers with you to the beach and enjoy a romantic evening. There are also a handful of accommodation and resort options at Corong-Corong if you'd like to see the sunset from the comfort of your cabin. When the tide is low and the sun has set, grab a candlelit table right on the sand for a beachside feast. Here the local specialty is seafood. The fresh fish is top notch, but if you're not a seafood fan you'll also be able to find chicken, fruit and rice dishes. While the diving admittedly isn't spectacular, we were able to see many varieties of fish including a lionfish and a crab carrying coral on its back like a shield. Our night dive took us to the banks of Cadlao Island. 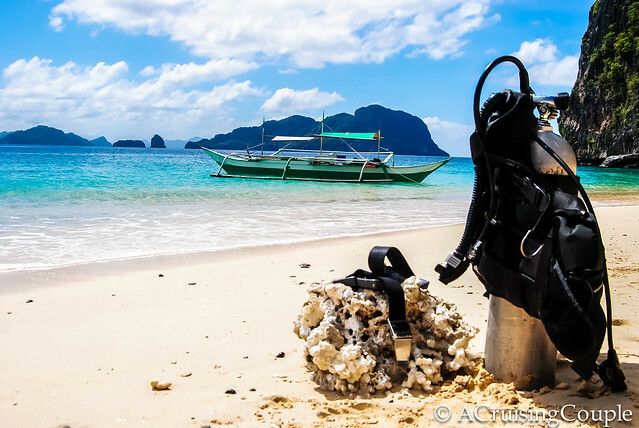 El Nido offers a lot of options in terms of types of dives. In addition to night diving you can also cave dive, deep dive, dive at sunrise and dive on a wreck. If you’re an avid diver there are multi-day packages that take you all around the islands to different dive spots, sailing amongst the islands in between dives. 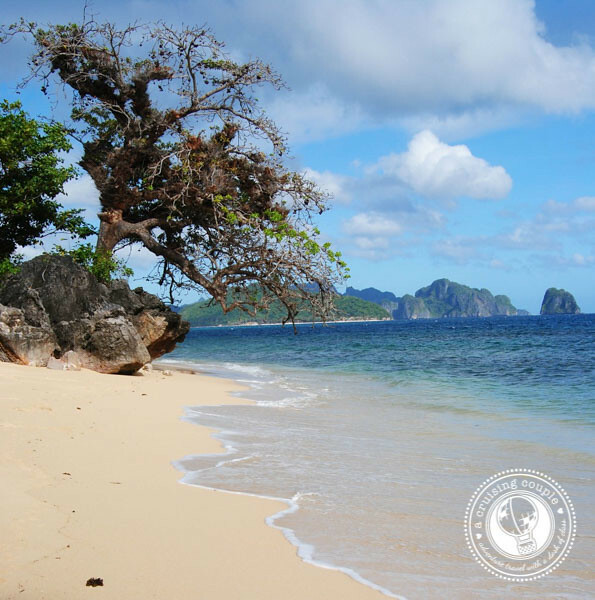 Have you visited El Nido or the Philippines?